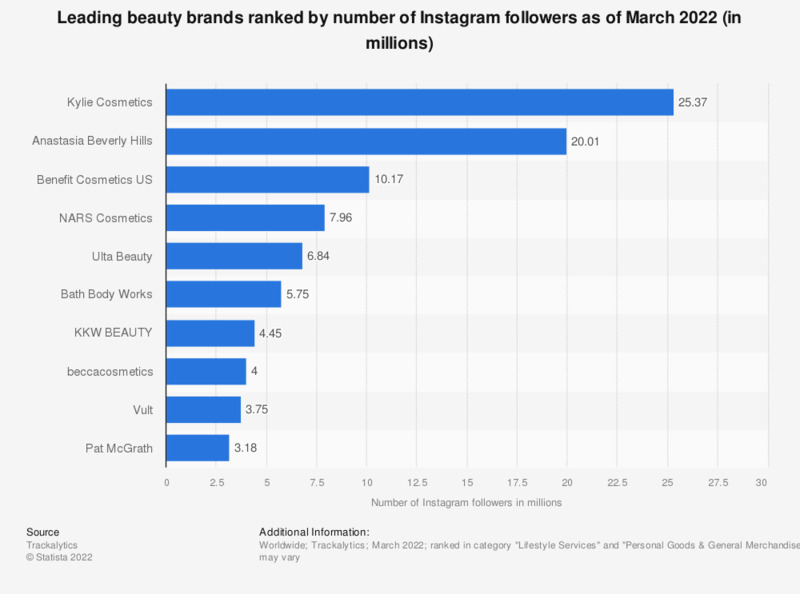 This statistic presents a ranking of leading beauty and cosmetics brands on Instagram as of December 2017, based on the number of followers. As of the survey period, MAC Cosmetics was ranked first with 17.1 million followers. Anastasia Beverly Hills was ranked second with 15.2 million followers. With over 500 million daily active users, Instagram is one of the most popular social networks worldwide and a valuable space for brands to connect with consumers. As of September 2017, there were over 2 million monthly active advertisers on Instagram.